Flip a coin. If tails, this does 9,999 damage. Flip a coin. If heads, count by 30's 6 times. 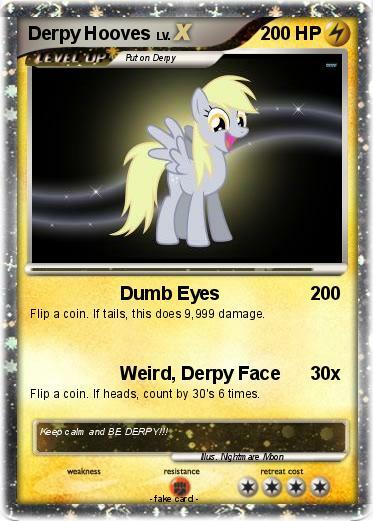 Comments : Keep calm and BE DERPY!! !